Is Canada headed for a subprime correction? In the US, non-prime mortgages are different animals than they were in the bad old days before the financial crisis. New controls, both from government regulation and non-prime lenders themselves, have made non-prime loans in the US much safer than the subprime loans of the past. 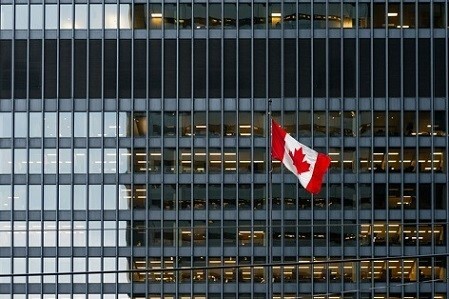 But could Canada be heading for its own subprime crisis? One well-known fund manager thinks that might be the case. Steve Eisman, a fund manager at Neuberger Berman Group, told Bloomberg that Canada’s housing market was “ripe for a pretty severe correction.” Canada’s subprime market is smaller than the non-prime market in the US, but real estate prices have risen more in Canada, said Eisman, who was featured in The Big Short, Michael Lewis’s book on the subprime meltdown. Among the country’s financial institutions, Canadian Imperial Bank of Commerce is most vulnerable to a correction, Eisman said. While he said the bank wasn’t in danger of “death and destruction,” he did think it was at risk for an earnings decline. Canadian real estate prices have skyrocketed toward the stratosphere in recent years, with major metro areas like Toronto and Vancouver seeing million-dollar-plus prices become the norm.